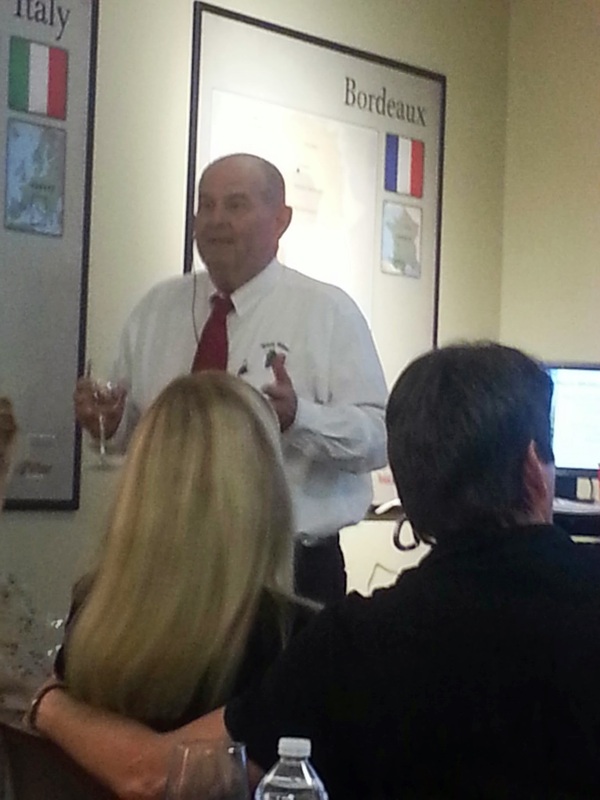 I was personally interested in a class on French Wines called, Romancing The Rhone” that was being offered at the Total Wine & More Huntington Beach Location on the date and time I happened to be available. 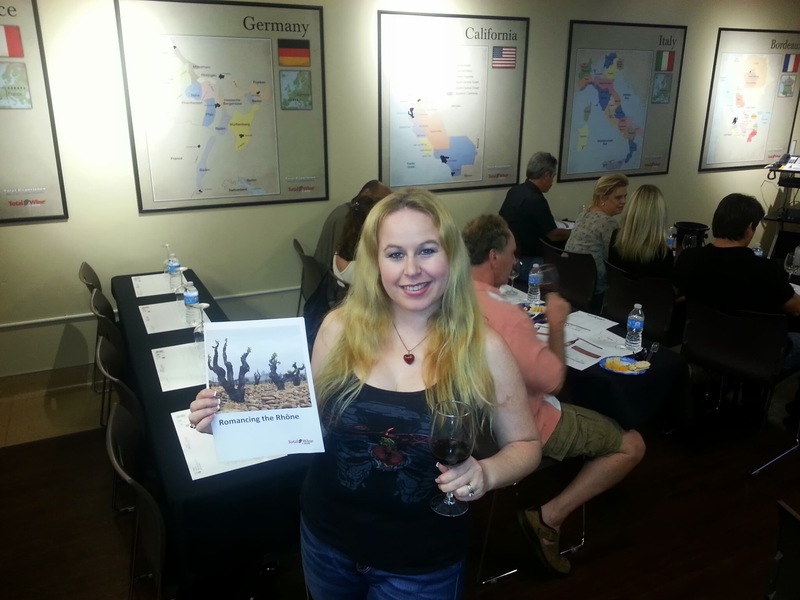 Although there are a variety of different classes to choose from, this one stood out to me because when I was in France in 2010, we traveled to Nice & Paris, but since we were on a whirlwind trip of so many different European countries, I did not have the time to sample the wine properly. 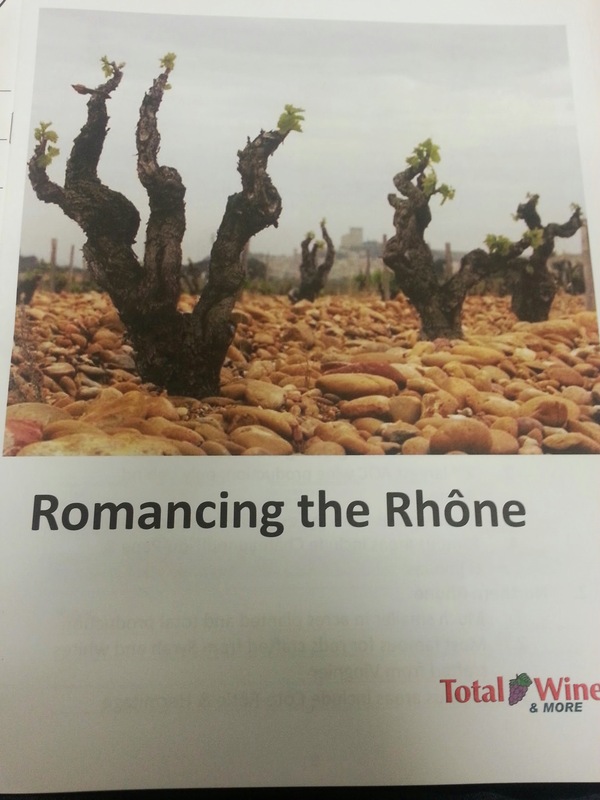 All I had the opportunity to try were some crappy French wines at touristy cafes that were sitting on top of the Louvre or at the touristy beach area in Nice…hence my passion for the Romancing the Rhône’s class was born! 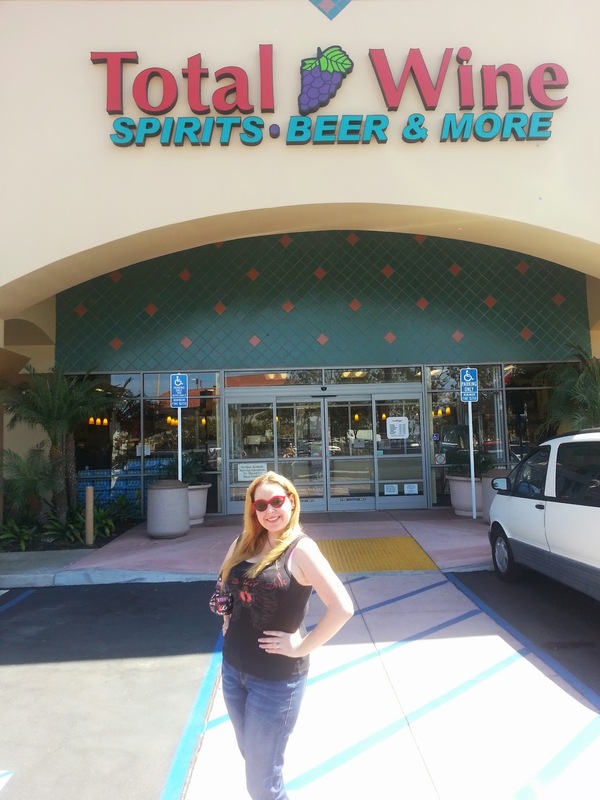 Upon arriving at the Huntington Beach Total Wine & More location (I had never been there before) I was pleasantly impressed. The store was large in size and the variety of liquor options within the store were plentiful for literally any type of wine, beer or spirits…Of course I ended up shopping after the class. The building was 75,000 square feet, just to get an idea of store size! 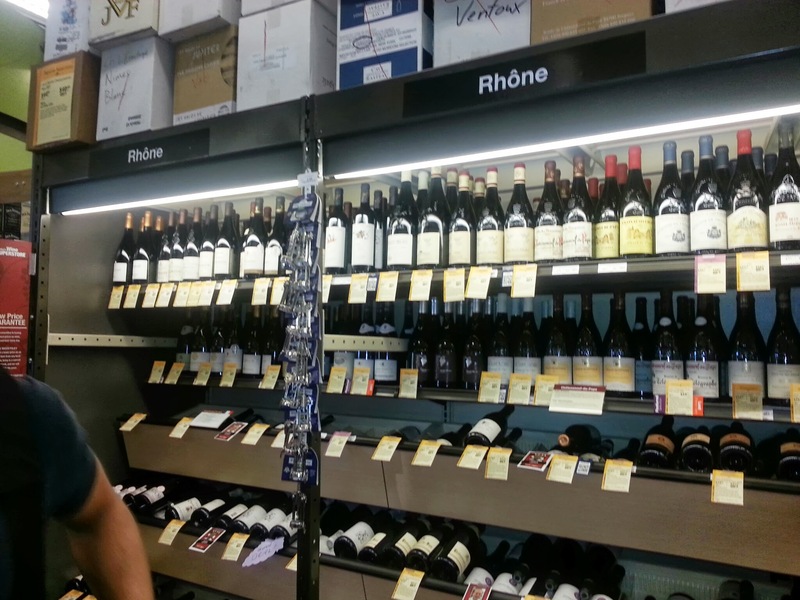 The selection of wines alone within the store carries 2,000 different bottles for under $10!! This is definitely the place to pick up a bottle on the way to a party! 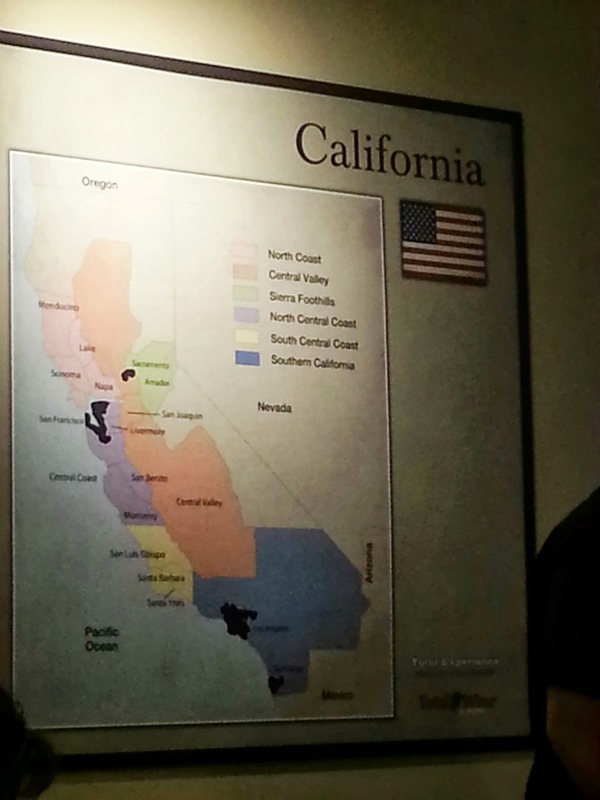 There was a projection screen in which we were able to go through slides about each region of the wine, as well as the climate, the type of soil, and the aromas and properties of each wine. There were 11 wines in our tasting plus an extra added to the end making it 12 wines! This was well worth the $25 fee of the class! There was a plentiful amount of water, cheeses, fruits, and crackers for consuming while enjoying our wines to freshen the palate and to not get sloppy drunk. 🙂 Also, fat is known to take away acidity of wines, so the cheese is a must with some tangy wines or ones that have too many strong tannins that make the mouth pucker. (Those are personally my favorite wines. 🙂 ) Of the wines we tried, all of them were sold at Total Wine & More! In the class we learned how to taste the wines by looking at the color, smelling the wine, swirling the wine and then tasting the wine. There was a great variety of whites and reds from the two distinct regions of the Rhone Valley, the Southern Rhone Valley, which is the oldest growing region in all of France, 2nd largest in wine production behind Bordeaux, and the famous areas, include Chateauneuff-du-Pape & Gigondas. 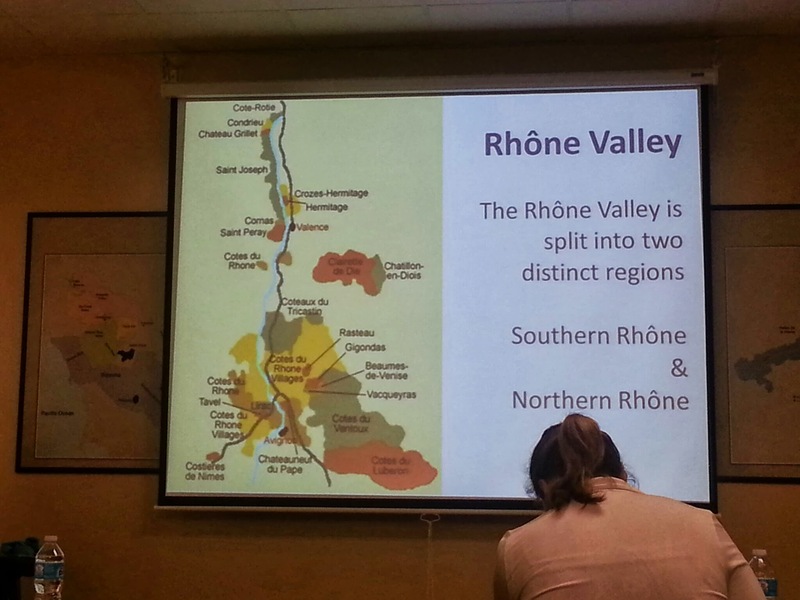 The other side of the Rhone Valley is Northern Rhone and this area is much smaller in acres, they are most famous for Syrah for reds & Viognier for whites. Famous areas in this region include Core-Rotie & Hermitage. At the start of the class we received a sheet with the entire price breakdowns of the wines we were sampling so we could have the option to buy them at thee end of the class. 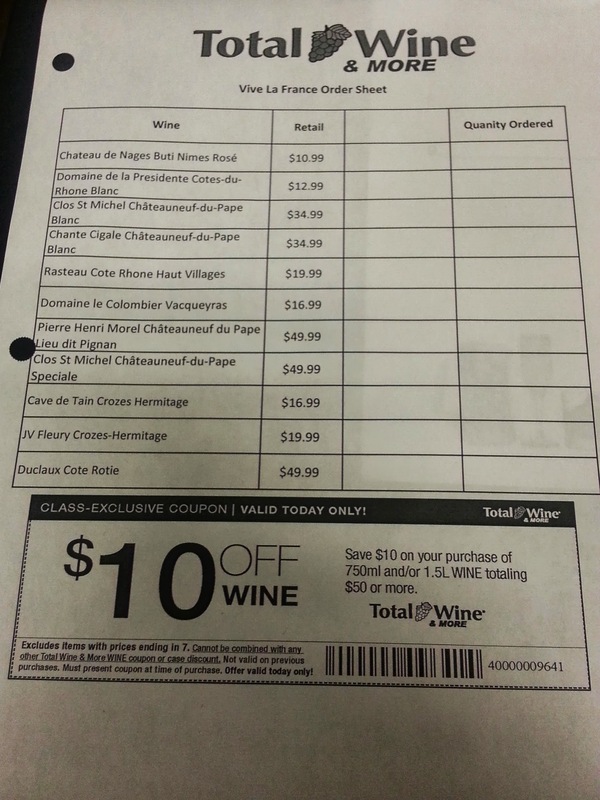 They ranged in price from $9.99 – $49.99 and we also each received a $10 off coupon to purchase any amount of wines that totaled over $50 just to be used on the day of the class. 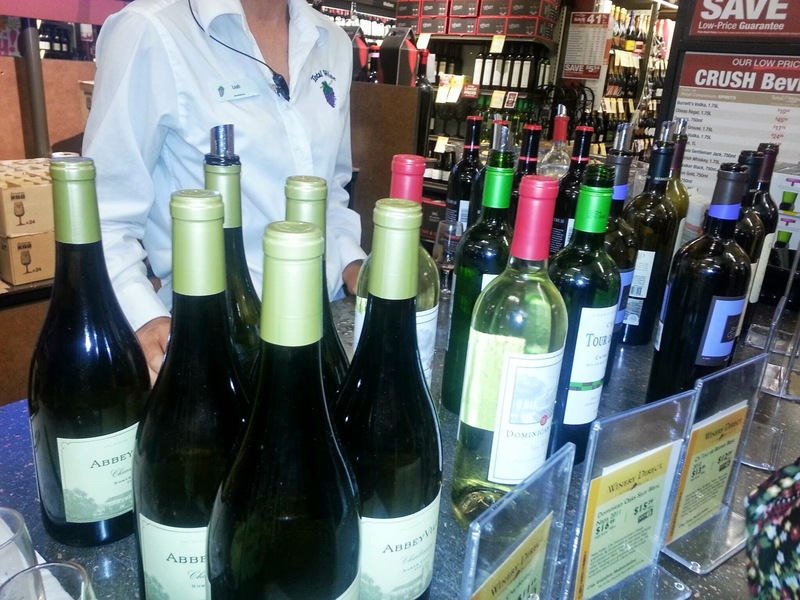 After finishing up our wine tasting class, we noticed that Total Wine & More also offers 10 cent wine tasting on weekends…and it was Saturday, so what did we do next?? Of course we paid our 10 cents and tried 7 varietals in the store! That is definitely a whole other event I recommend checking out! Please let me know if you have ever been to a Total Wine & More class below. I would love to hear about your experiences! 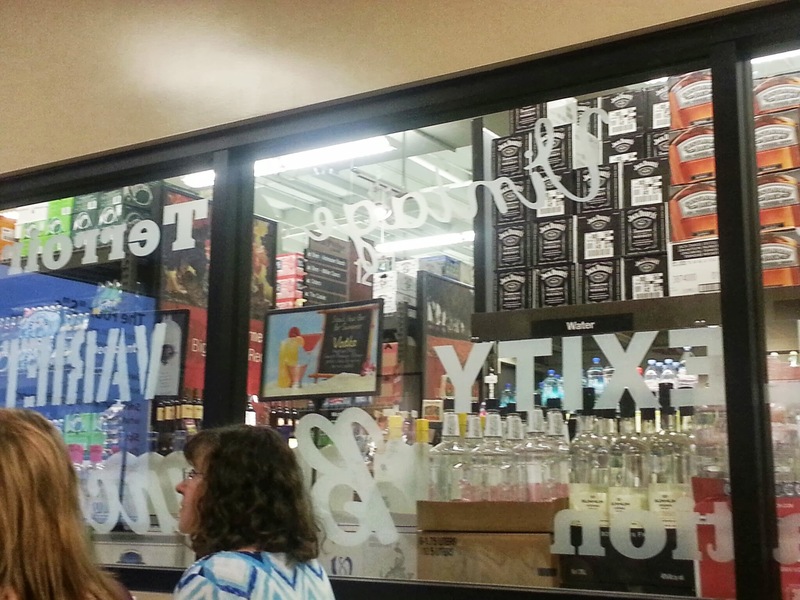 I had no idea that Total Wine & More offered classes. I will have to check out our local store to see if they do too..
How come I don’t get to be invited to wine classes ? Do they invite only cute girls? 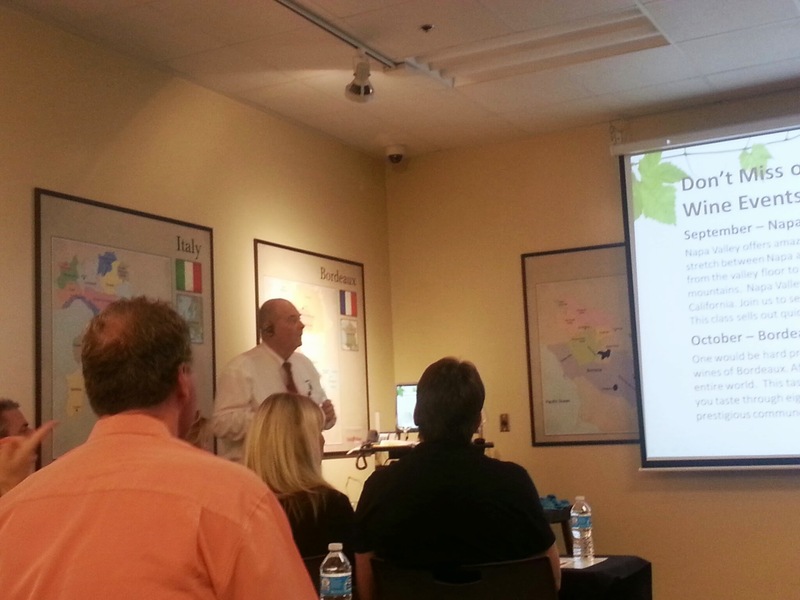 What a great detailed wine tasting by mapping it out and tasting good wine! First I have ever heard of wine tasting classes, cool! Awesome! You should check it out Glenda! 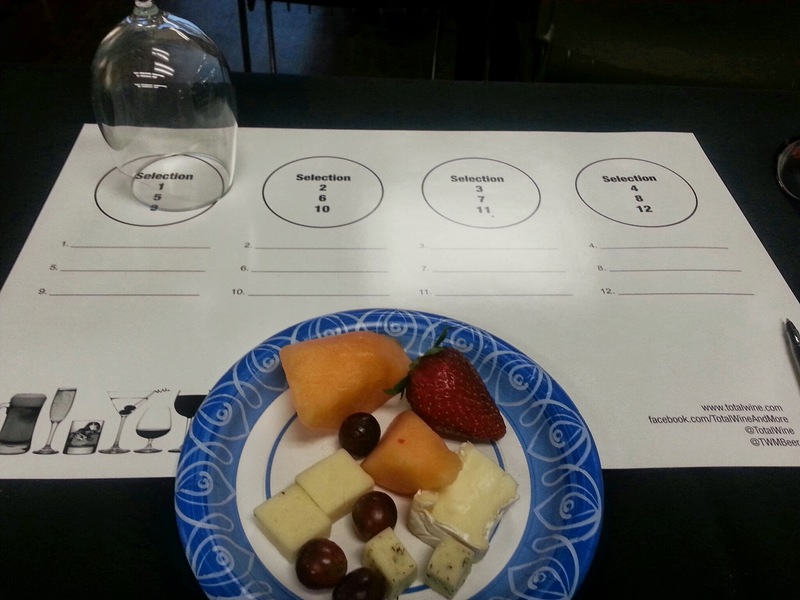 Wine tasting classes? Never heard of a class! I would love to attend one though! Okay you guys get to eat, travel to great places, drink wine – what more can you ask for! You lived the charmed life. We have a Wine and More in Tucson. I didn’t know they offered wine tasting classes. It does make sense though. The store is so big that I usually just ask someone to point me in the direction of whatever I’m looking for (for a birthday present or dinner party) and I’m on my way. 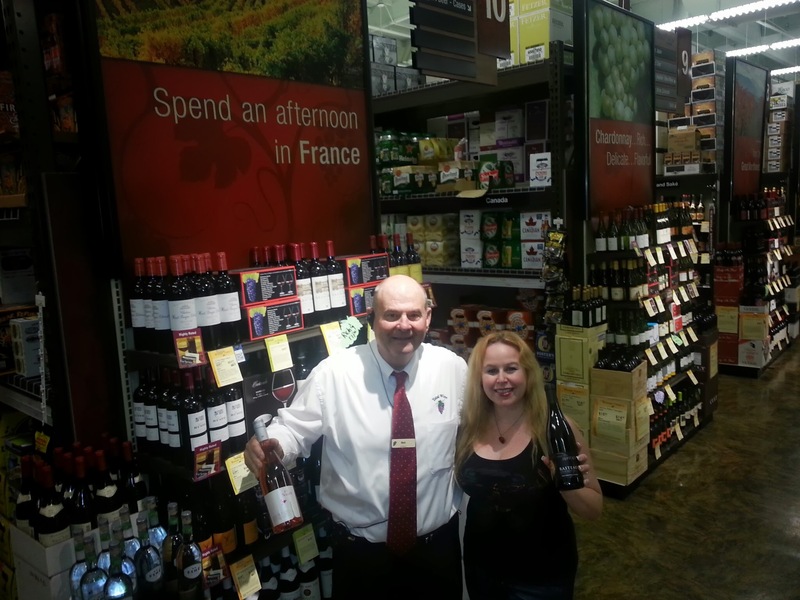 Love Total Wine and love all the educational tastings and classes they provide… I seriously need to take one or two before I head north! We need one of these up North here in Canada. By the way, we have some incredible wineries here as well and on my bucket list is a tour of them here in beautiful British Columbia. But I also want to come down your way to tour the amazing array of wineries that you guys have. I have so many friends who would love this. I wish I wasn’t allergic to wine, but can remember the days when I enjoyed this. I will pass this along so my peeps can enjoy. I like this, joining classes and learning more about wine regions, a $10 off coupon to purchase any amount of wines and the best part is the wine sampling. Never have thought of this before, you have just given me an idea on how can I maximize wine tasting. As usual, very interesting article. I didn’t know they offered wine classes either. I will have to check with our local wine stores because this is a great idea. We just moved to Lancaster, PA and we need to find some wine tasting places. I can’t stand the cheap, vinegar tasting wines. Love really good Cabs from 2008 – 2010. One of the reasons I like this site is I don’t think I know anyone who has so much fun at what they do as Dani does. Great idea – I’d love to go to one of these!